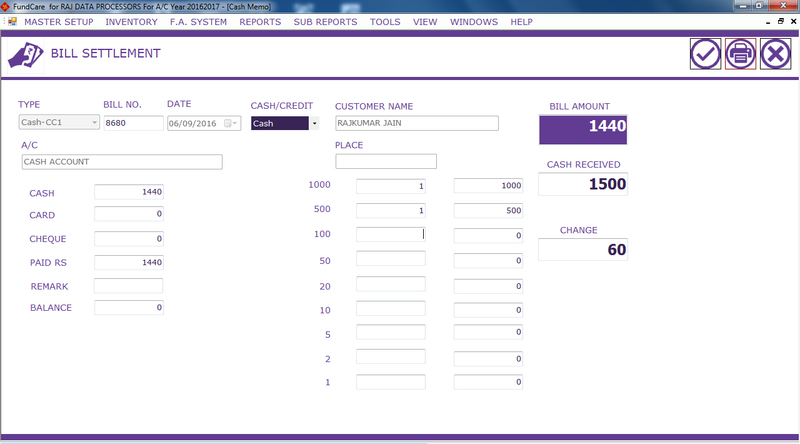 Raj Data Processors provide FUNDCARE SOFTWARE With BARCODE Facility for Accounts, Billing and Stock keeping. 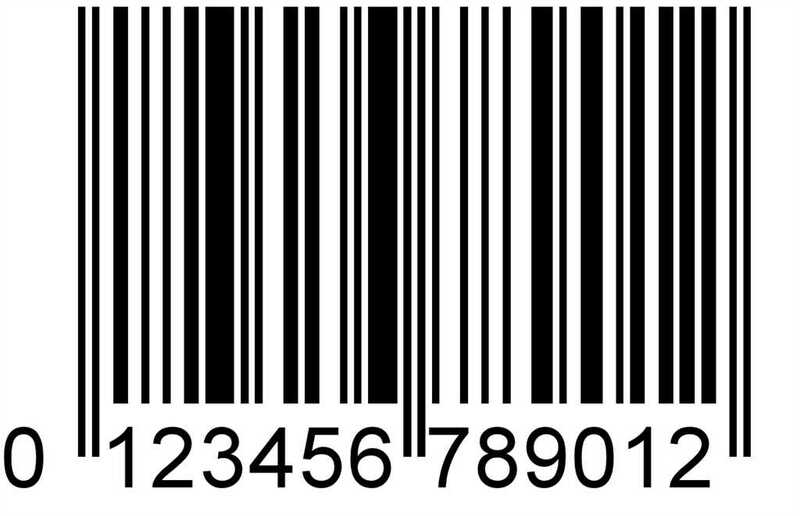 BARCODE System provide easy BILLING for user end. 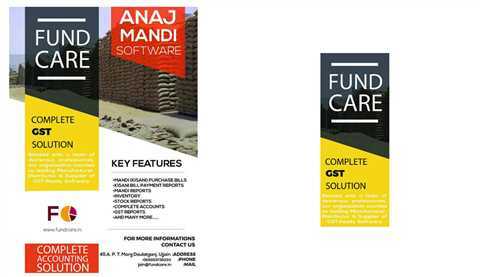 There After Different Kinds Of Specialized And Generalized Software Have Been Developed With FUNDCARE Brand Tag. 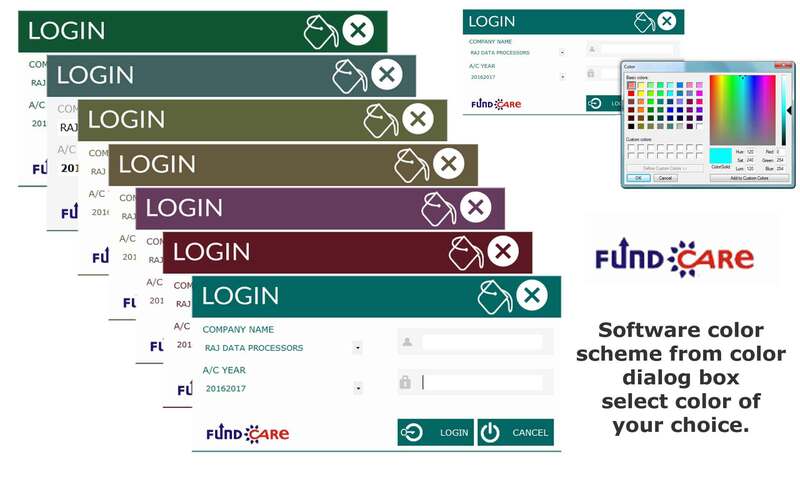 BARCODING is not diffucult with fundcare. 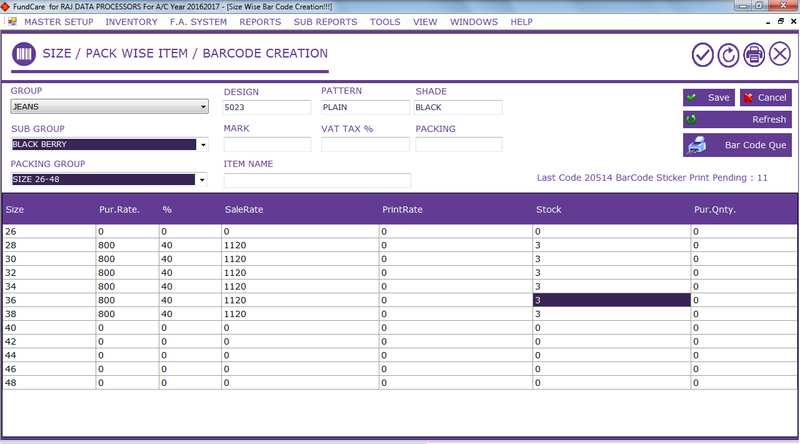 Barcode generation with minimum inputs is the most appreciated feature of FUNDCARE BARCODE Billing software. 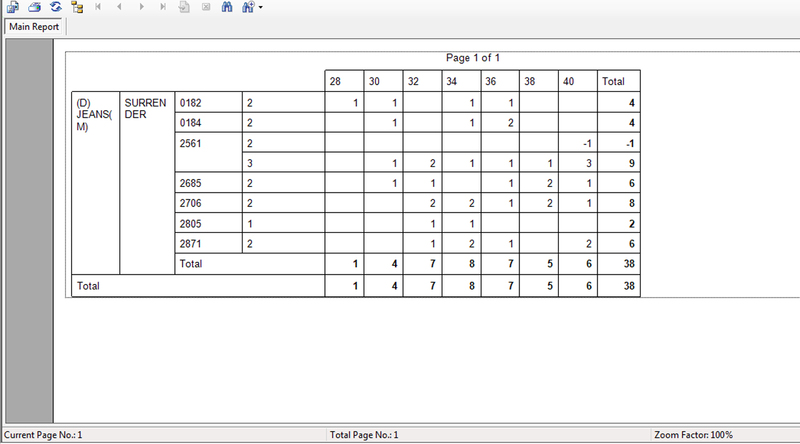 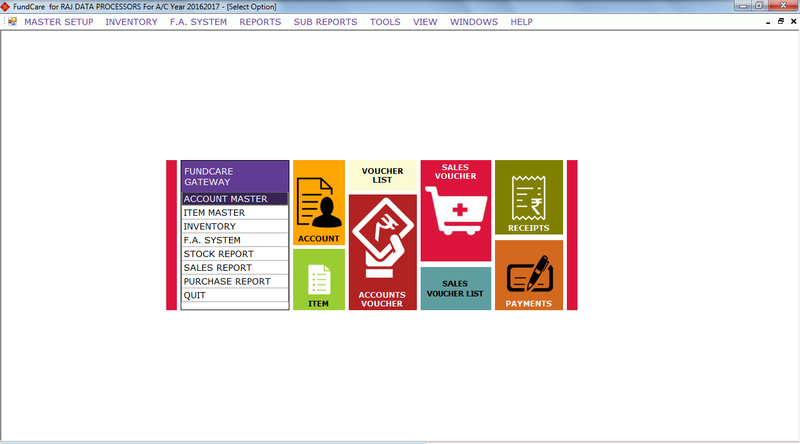 BARCODE ACCOUNTING AND BILLING SOFTWARE FOR MANUFACTURING UNITS. 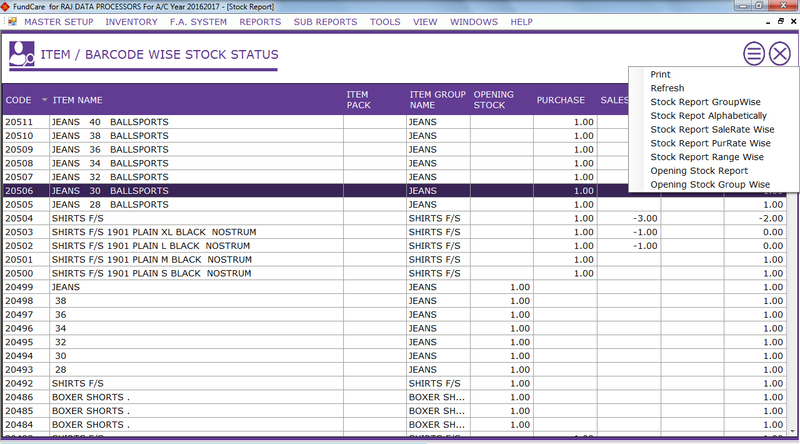 BARCODE ACCOUNTING AND BILLING SOFTWARE FOR SHOE STORES. 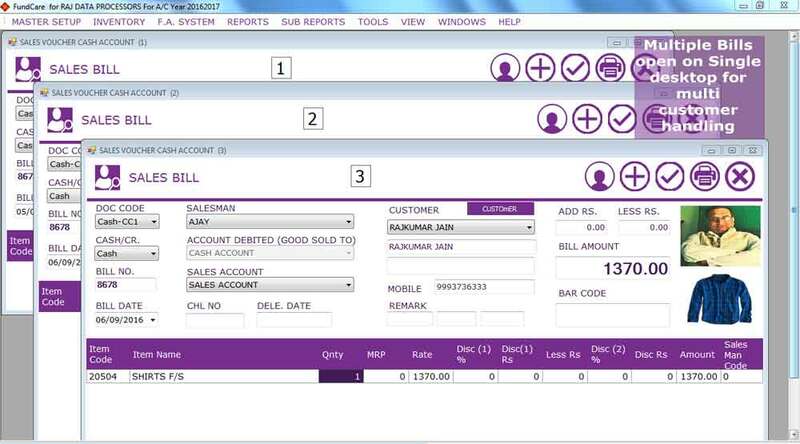 BARCODE ACCOUNTING AND BILLING SOFTWARE FOR RETAIL OUTLETS.